Well, I’ve just returned from my trip to India, and I’m so thrilled to be able to share it all with you. We adventured through South India (from Goa to Chennai, then along the coastline to Kochi), and then headed back up to North India to spend a few nights at our favourite spot: Fateh Garh in Udaipur. (For a catchup of last year’s North India trip, all my travel posts are here.) Stay tuned for a full report of everything we ate… and of course, some sightseeing & culture too. 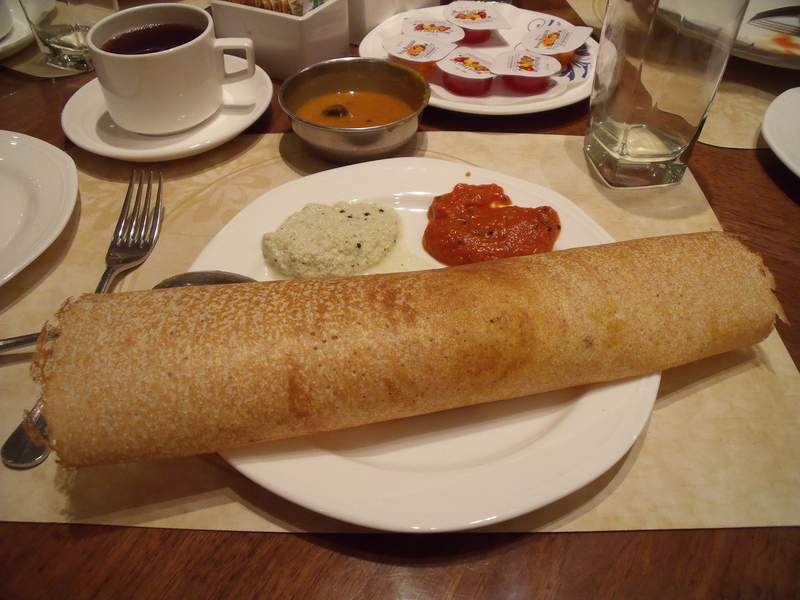 My favourite South Indian meal is a dosa. We get it here in Toronto for dinner (we love Udupi Palace in Little India), but in South India it is eaten as a snack food, or for breakfast! 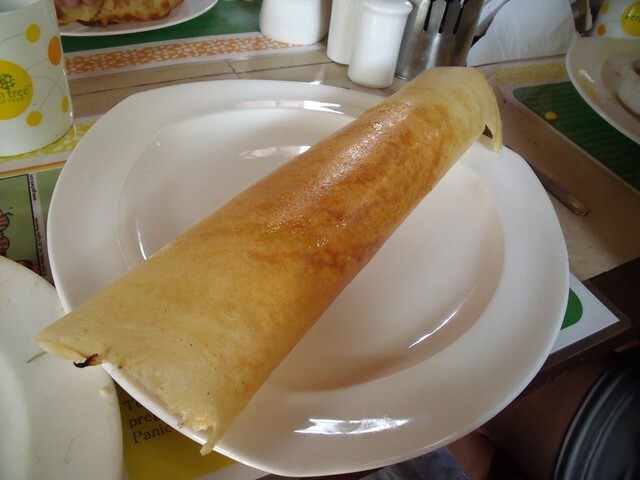 And did we ever have dosas for breakfast! 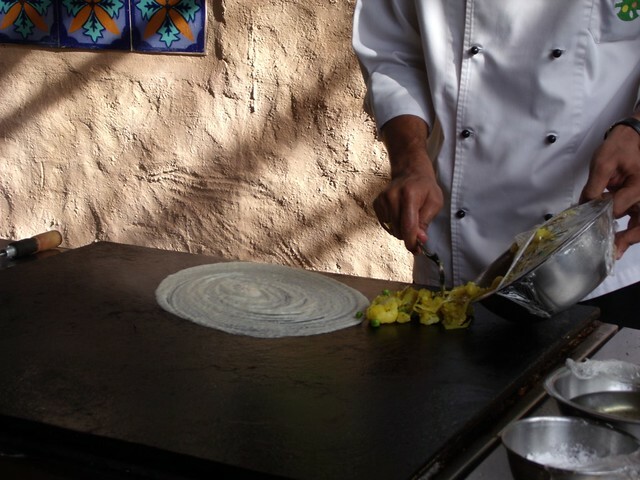 Imagine large savoury crepes, with a little bit of a tang, and you’ve got dosas. They’re made from a batter of ground rice and lentils, so they’re naturally gluten-free. The batter is left to ferment overnight, which gives it the tangy flavour. 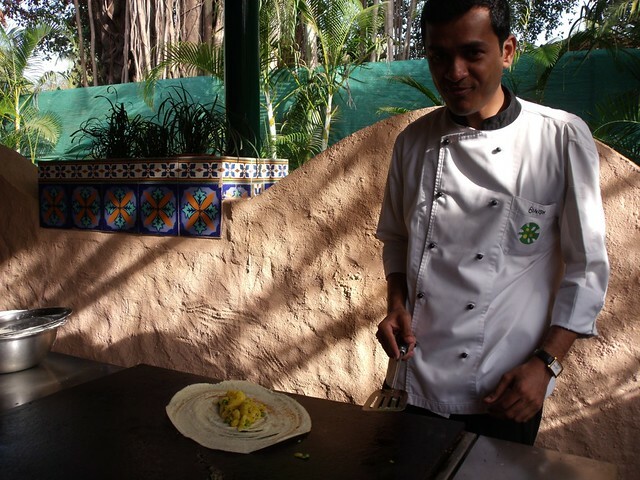 Dosas are often served as masala dosa, which means they are stuffed with a curried potato filling. Yum. 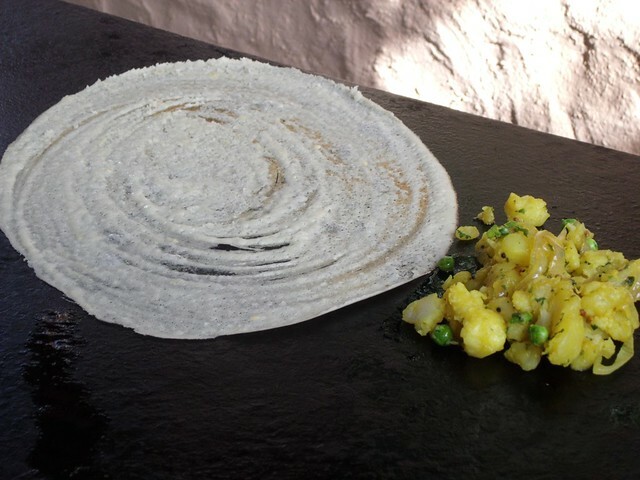 If you make dosa with ghee (clarified butter) it’s a great vegetarian option, and if you use coconut oil it’s even vegan! 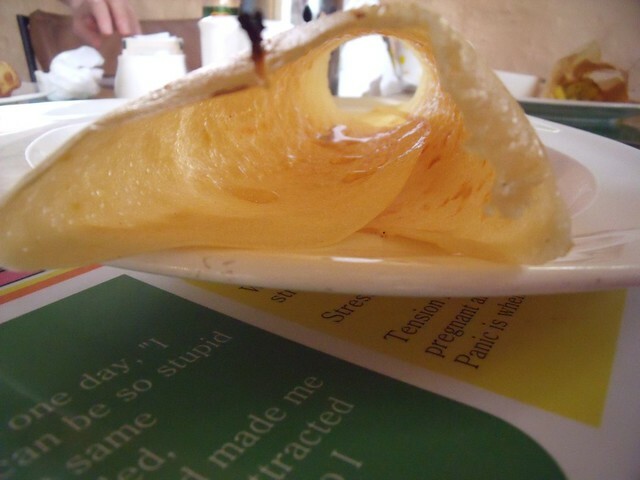 You can also have a plain dosa, or even a honey dosa (yes, dosa smeared with honey). Sooo good. 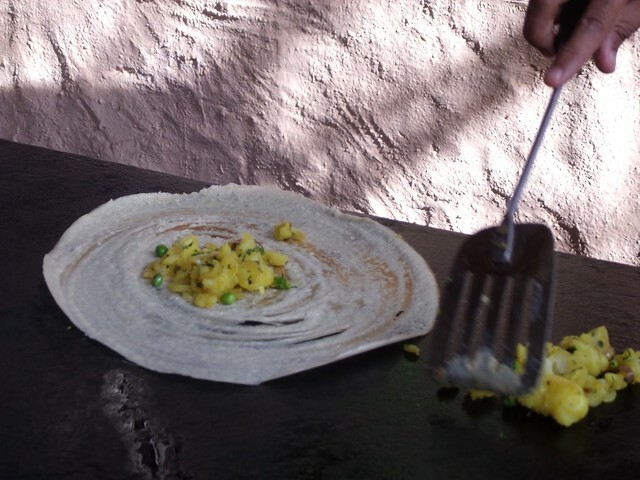 Dosas are served with sambar (lentil & veggie soup!) and chutney — usually coconut chutney, and roasted tomato chutney, and sometimes mint & coriander chutney too. 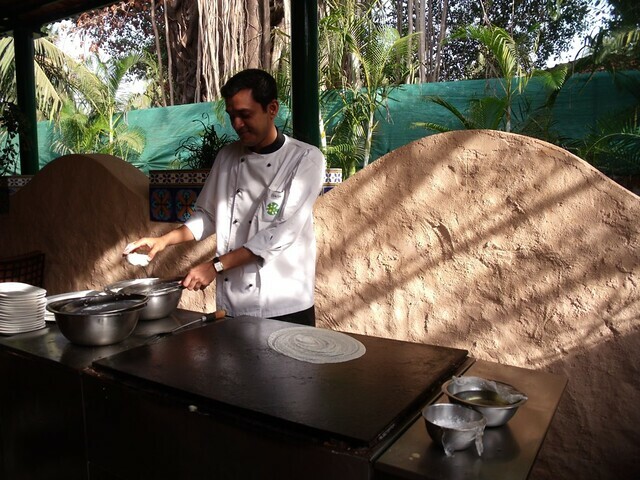 I made friends with the dosa chef at our hotel in Goa. 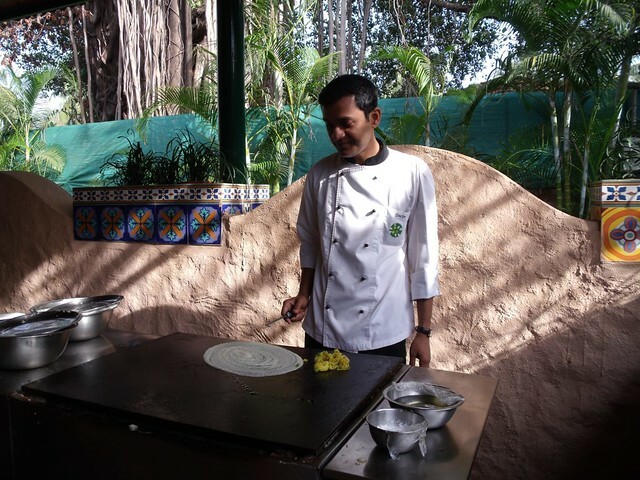 He made some of the best masala dosa on our whole trip through South India! 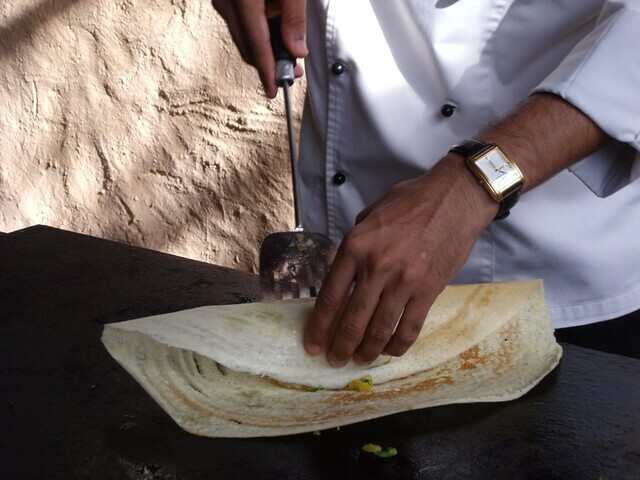 In order to make a dosa you need a large flat & hot surface. A griddle works great for this, but so does anything you’d make a crepe in — so a crepe pan or even a large non-stick frying pan. 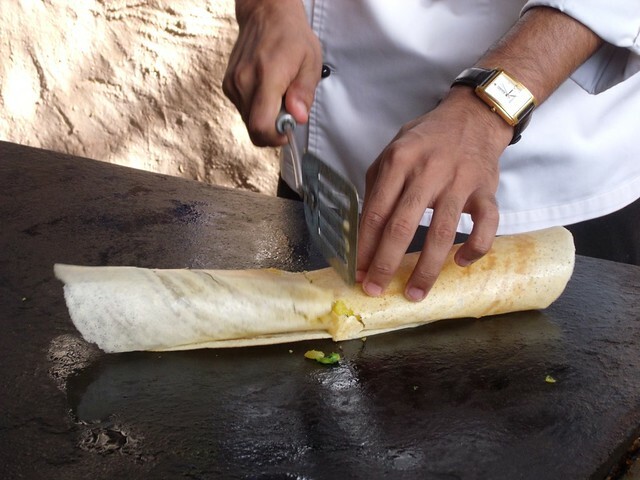 I think I need a we-made-it-home-let’s-have-dosas party… which means you’ll be getting a recipe soon. Let me tell you, it’s so easy to wake up in the morning when you know you’ll soon be having dosa. Tough life, right? Now to make it dosa-o’-clock here at home! These look amazing! Can you bring them to our next NATS meeting? I nominate YOU as official singer-foodie! Could you let us know where exactly in Goa was your hotel.